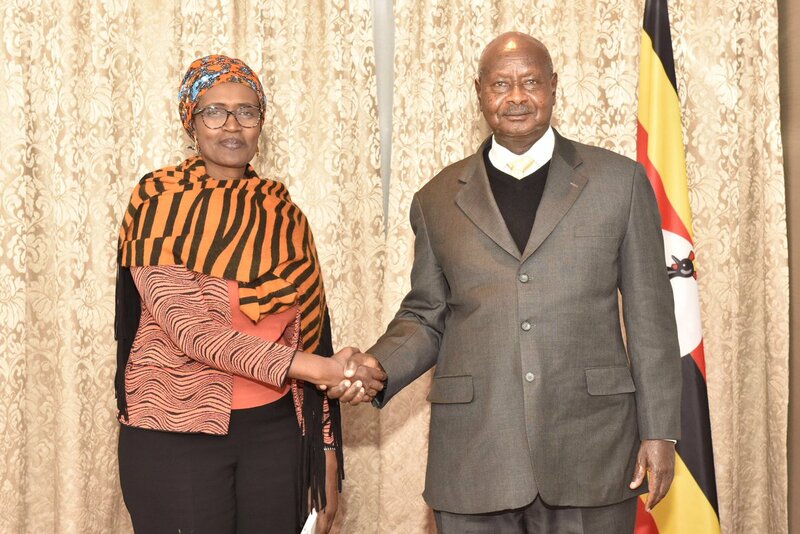 DAVOS – President Yoweri Museveni on Wednesday met with Ms Winnie Byanyima, the Oxfam Executive Director and a wife to Dr Kiiza Besigye at the ongoing World Economic Forum in Davos. The duo discussed regional integration, promoting peace and security in East and Horn of Africa. Ms Byanyima and Mr Museveni met at Hotel Grischa Monta, in Davos. “We agreed that ordinary people need economic integration and will increasingly push their leaders to build a common market,” Ms Byanyima twitted after a brief discussion with Museveni. They also talked about building strong internal middle class systems pushes for great dynamism for goods and services that build strong integration blocks and ultimately improve economic development and transformation. On his submission to the meeting, Museveni cautioned foreign power to avoid a uni-dimension approach in shaping Africa’s future. 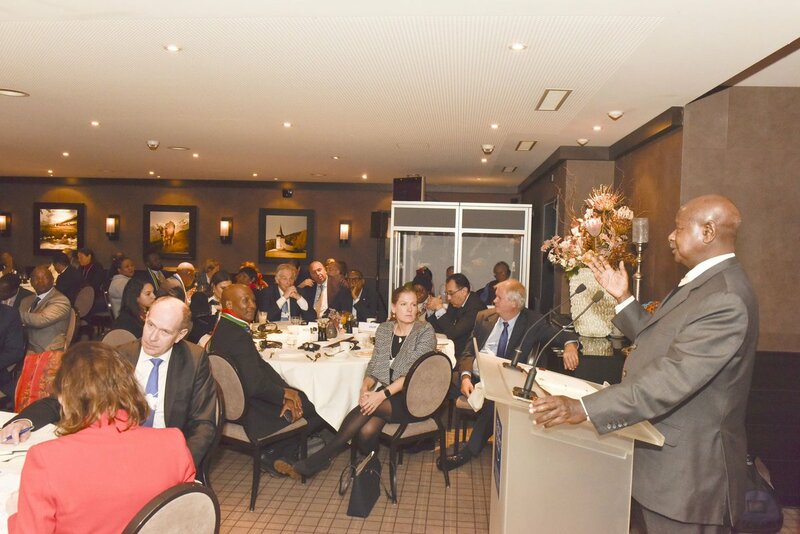 Museveni said that whereas the approach might have worked in the 1950s when universal emphasis was on education, helping countries like South Korea to develop and transform, many other countries did not succeed. 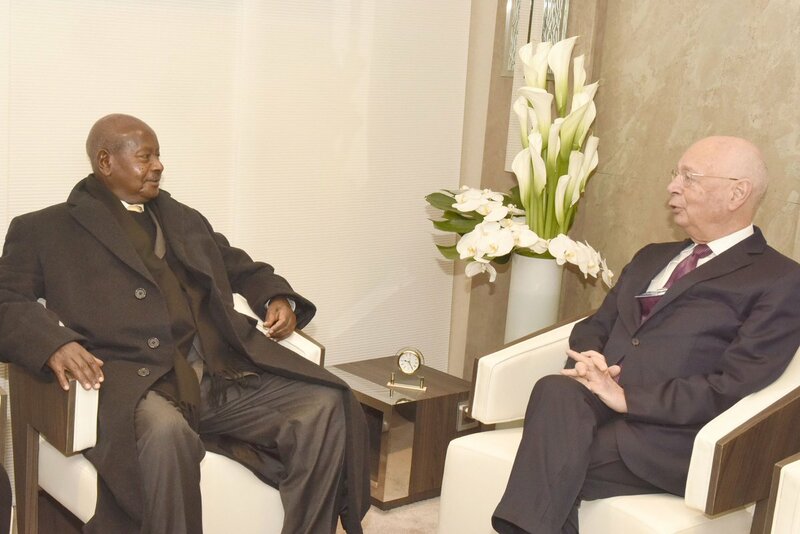 Museveni also paid a courtesy call on Prof Klaus Martin Schwab, the founder and executive chairman of the World Economic Forum, at his offices in Congress Building, Davos, Switzerland. Museveni and Prof Schwab discussed a range of issues, including the global push for the 4th industrial revolution. Mr Museveni says that gaps of the 2nd and 3rd revolutions in places like Africa must be plugged for proper development to happen. The president also retaliated Uganda’s commitment to host the next World Economic Forum on Africa. The last forum was held in South Africa. “It will be an honour to host a meeting of such significance,” Museveni twitted on Thursday afternoon.